Last weekend we had a stabbing at San Diego Comic-Con, and this weekend we have someone pulling the fire alarm at Otakon. Come on kids, can’t we learn to play nice when we gather together? Conventions are supposed to be fun you know? 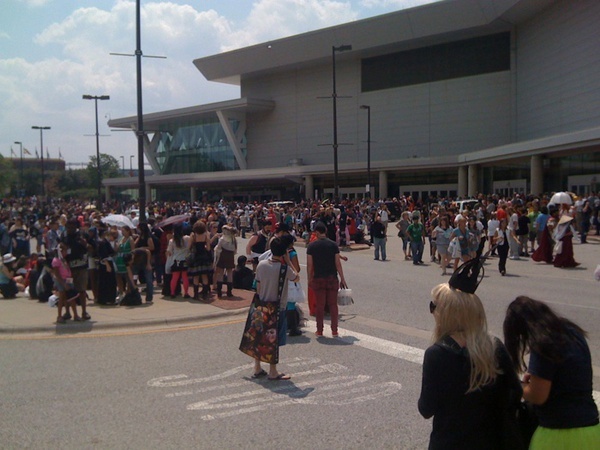 The first report on the Otakon fire alarm came around 2:30 p.m. EST. Otakon’s official Twitter account was pretty quick to respond, telling attendees at the convention center that everyone needed to get out so that the Fire Marshall could inspect the building. However, other fans were reporting confusion and frustration when trying to get information from staff. We saw a few photos of the chaos outside (they are posted below), as thousands poured into the areas surrounding the facility. The Hilton, which also houses some Otakon programming, was not impacted. As time went by, we saw further reports that there may have been an actual fire, caused by a food vendor. 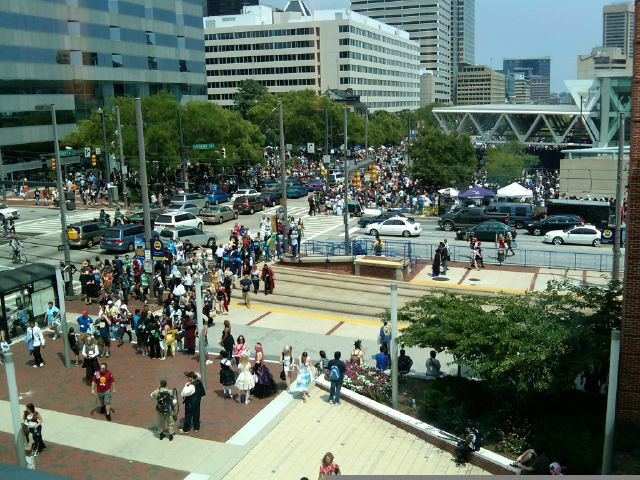 However, Otakon has officially reported that there was no fire, and it was indeed a false alarm. People were eventually let back in not too long after the evacuation, with staff trying to get vendors and staff in first, and then attendees. Some programming was postponed as a result of the false alarm, including Yuji Mitsuya joins Masao Maruyama, Hetalia premiere and cast panel, Cosplay Culture, OC Remix, and Home Made Kazuko. Otakon’s lying. I exited out right next to the smoke. There was also a bomb threat on 4chan but I don’t know if that was a factor.